Umbra Hosting Review 2019: Is Umbra Hosting a Good Hosting? Umbra Hosting offers a full suite of hosting solutions such as shared hosting, dedicated servers, KVM VPS, and reseller packages along with domain registration and premium SSL. With modern servers designed for speed and reliability, Umbra Hosting guarantees its customers one of the best performances in the market. Established in 1995, Umbra Hosting is a fast-growing hosting provider that offers website hosting, email hosting, VPS, dedicated servers, and value-added services such as SSL and domain registration. 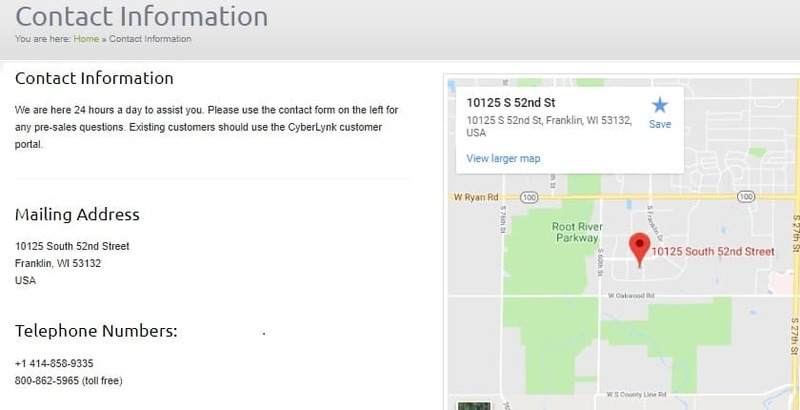 The Milwaukee-based company is a subsidiary of CyberLynk, a fully-fledged Internet Service Provider with thousands of happy customers worldwide. Until you sign up with Umbra Hosting, you may not be able to fully appreciate what they have to offer. You can build and host HTML/PHP websites in their Linux-based accounts or.NET/ASP hosting and others Windows-specific apps in their Windows hosting accounts. I believe whatever hosting need you have, Umbra Hosting will be able to take care of it to your satisfaction. Umbra Hosting operates a custom built infrastructure with cutting-edge and reliable technology, enabling it to deliver hosting services that are above board. It leverages high-speed Dell PowerEdge servers that are connected to a redundant network courtesy of Tier one providers. Thanks to its BGP routing and robust routers and switches, Umbra Hosting is able to provide low latency and high availability connections around the world. Under each shared hosting account is the automated cPanel/Plesk hosting platform with a friendly interface. Both panels are intuitive and give users total control over their online web space. Between the two of them, there are lots of features that let you create, manage, and secure your websites, emails, and databases from one central place. And that’s not all. You can also add domains, monitor website performance, secure your files and emails, and do much more. What I like about Umbra Hosting is that they provide their customers with a stable and affordable platform to host their custom websites and web apps. You don’t need to take a second look at their pricing to know that the hosting packages are inexpensive too. Umbra Hosting charges a flat monthly rate and backs all of the shared hosting and reseller packages with a 30-day money-back guarantee. The only time you may pay more is when you upgrade your hosting account. When you sign up and place an order, you can pay conveniently using Visa, MasterCard, Discover, or American Express, but not PayPal. Customer support is available 24/7/365 via multiple channels including online ticket, toll-free telephone line, and email, and live chat. Friendly and knowledgeable, their support staff and engineers can help you resolve all of your hosting problems and provide answers within minutes. If you’re comfortable tinkering with settings, you may also want to look at their video tutorials and knowledge base, which has helpful self-help guides. You can’t go wrong with Umbra Hosting because they offer affordable and feature-rich hosting packages with a 30-day money-back guarantee, plus a friendly support staff. Wondering how Umbra Hosting stacks up against other Web Hosting companies? Enter any other Web Hosting company and we will give you a side-by-side comparison.